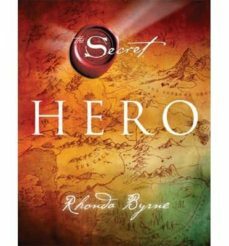 From Rhonda Byrne, creator of the international bestselling movie and book, The Secret, comes HERO, her latest world-changing project and the most important to date. HERO brings together the wisdom and insight of twelve of the most successful people living in the world today. By following their seemingly impossible journeys to success, HERO reveals that each of us was born with everything we need to live our greatest dream - and that by doing so we will fulfill our mission and literally change the world. No matter where you are in your life today, no matter what age you are, it is never too late to follow your dream. And when you do, you will make the greatest discovery any human being can make - the discovery of who you really are, and why you are here. Once, there was a hero.